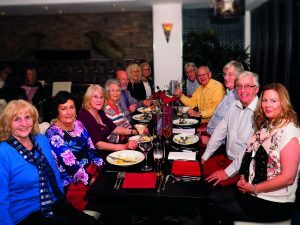 Barnsley Civic Trust members dine out together about every six weeks. Here we are enjoying a meal at Barnsley’s 1 Momento in November. The next meal is at The Glass House on Thursday 14 December. If you would like to join us do get in touch; Phyllis or Rebecca would be pleased to hear from you.